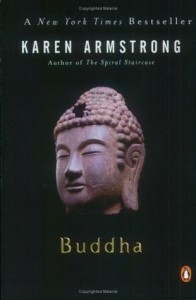 “History” is a relative term when it comes to Siddhartha’s story. Scholars agree he was a real person, and legends agree on some aspects of his story, but any biographer–or novelist–has to infer a lot from sources that draw no clear lines between legend and fact. Good news for a novelist: I felt free to concoct a story from the few facts, the many legends and myths, and pure imagination. His biographers (see below for a few of them) agree on most points. Siddhartha Gautama, who became the Buddha, was born around 560 BCE, although Chinese sources suggest he a later date, possibly 440 BCE. (Recent excavations at the Lumbini Grove, his legendary birthplace near the current border between India and Nepal, seem to favor the earlier date.) We may never know. The people of his time and place left no monuments or written records. Siddhartha was the son of King Suddhodana, who ruled the Sakyas, one of sixteen clans that lived between the Himalayas and the Ganges. He was an extraordinary prince who chafed against his royal duty from childhood and yearned to find the Truth with a capital “T”. His father feared a prophecy that said that Siddhartha would abandon his royal duty and become a great sage, rather than becoming a World Emperor and so kept him a virtual prisoner in his luxurious palace. Siddhartha married at sixteen, but he and his wife were childless until he was about thirty, when his son’s birth brought on a spiritual crisis. He escaped the luxurious palace and embarked on the quest for wisdom. He attained enlightenment after six years of study and ascetic practices, and became known as the Buddha, meaning the Awakened One. For the next forty years he wandered the roads of Northern India, spreading his Four Noble Truths and his Eightfold Path to end suffering. These points provide a basis for the Sadhana trilogy, but my novels are fantasies. They tell the stories of several women who knew Siddhartha, stories that draw on legend, but differ significantly from the canon. Siddhartha abandoned his wife and infant son to embark on his spiritual quest; I wanted to explore how women would undertake their spiritual journeys. 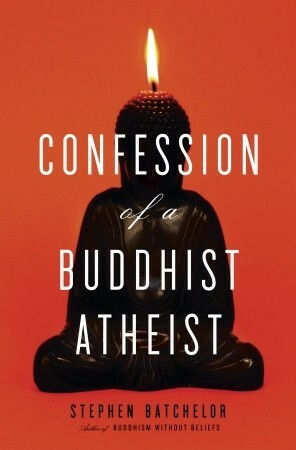 Confession of a Buddhist Atheist by Stephen Batchelor In the course of describing his own spiritual journey, Batchelor book retells the Buddha’s story, emphasizing the relationship between the great sage and his contemporary, King Pasenadi (Prasenajit in Sanskrit sources). 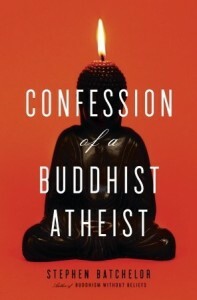 Batchelor has had a very interesting life and has studied under Tibetan and Korean teachers among others, so the book is a wonderful overview of contemporary Buddhism. 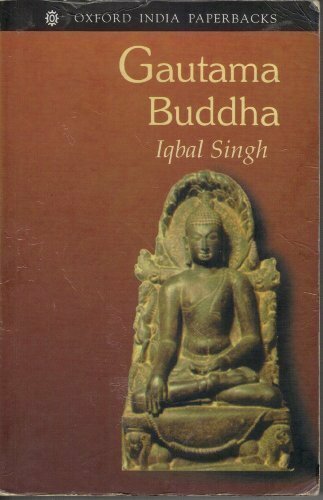 Gautama Buddha by Iqbal Singh (1912-2001) elegantly retells the Buddha’s story without dry scholarship or devotional bias. Witten in 1937, it has a very British, post-Edwardian flavor, but it still works. Singh proposes that Siddhartha Gautama was not the prince of legend, but most likely the son of an elected leader of a clan. (Many scholars, including Armstrong below, agree.) Filled with political and religious ferment, the Buddha’s time and place was a transition period from independent republics based on clan relationships to the kingdoms with hereditary rulers that appear in Buddhist legends. Singh also states that in Siddhartha’s time, the rigid caste system had not yet evolved. The Brahmin or priestly caste wished to dominate the Kshatriyas, the warriors and rulers, who preferred to control the reins of power. The Vedas, very ancient religious codes dating back at least a thousand years before the Buddha’s time, contained the hymns and sacrificial rituals that gave the Brahmins their power. Not only Siddhartha but many others rebelled against Vedic orthodoxy. The Jain religion has its roots in this time; Mahavira Jain, its founder, was as radical as Siddhartha. Singh gives a good overview of the competing philosophies. 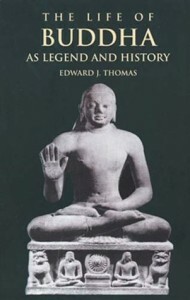 The Life of Buddha as Legend and History, by Edward J. Thomas. 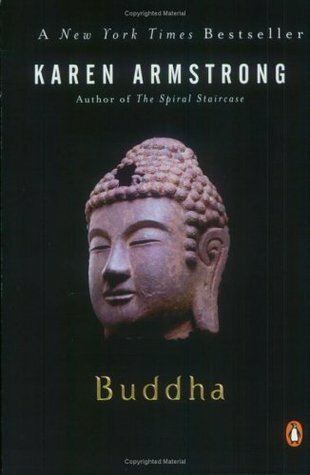 Originally published in 1927 and perhaps a little dated, but very useful for the references to the various sources for the legends that make up the story of the Buddha’s life. The author compares tales from the suttas, the Jataka tales, and other parts of the Pali canon of Buddhist literature to tease out what might be true.